Djokovic reached his fourth final in Paris with a 6-2, 6-1, 6-4 demolition of Austria's Dominic Thiem to move one match closer to a career Grand Slam. Paris: Novak Djokovic and Andy Murray will meet in a Grand Slam title clash for a seventh time on Sunday after comprehensive semifinal triumphs swept the world's top two players into the French Open final. Djokovic, playing in a 20th final at the majors, is seeking a first Roland Garros crown to become just the eighth man to complete the career Slam. Murray, also 29, can become the first British winner of the men’s title since Fred Perry in 1935. Sunday will be Djokovic’s sixth successive Grand Slam championship match as he looks to add to his collection of 11 majors. On the women’s side, Serena Williams will play Garbine Muguruza in Saturday’s final in a replay of last year’s Wimbledon title match. 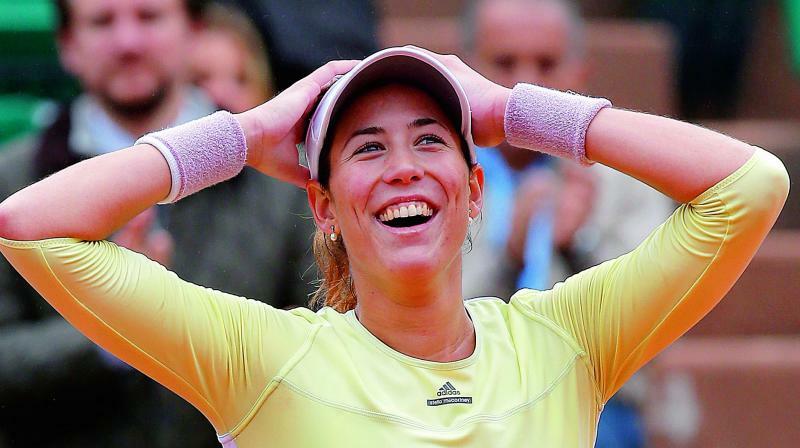 Serena won that in straight sets for her 21st Grand Slam title, but Muguruza, at 22, 12 years younger than the American, has improved further since then. The top seed and defending champion kept alive her hopes of a record-equalling 22nd Grand Slam title against unseeded Dutchwoman Kiki Bertens. But her form was at best patchy as she laboured to a 7-6 (9/7), 6-4 semifinal win. The fourth seeded Muguruza, meanwhile, underlined her fine form with a 6-2, 6-4 win over Australia’s Samantha Stosur to reach a Grand Slam final for just the second time.